I’m still on the US adventure and on my travels I am collating a few little bits and pieces from around the globe. And so, here is my latest style round up! US: Department store Macy’s have introduced their version of a designer collaboration called Impulse. On February 15, London based designer Kinder Aggunini will debut a collection of funky and young pieces with a not too expensive price range. So if you are a US resident, or just paying a visit (a la moi), this is definitely a must see! If you are a fan of online shopping, you will love www.ruelala.com. Now this might sound familiar because in an episode of The City last year, the website recognised Whitney Port’s collection as one to watch. It’s member only site so you have to apply but it’s a site with a difference. When you join, you can browse what I can only describe as “online pop up shops”. Each shop has limited collections and is usually only live for about two days, making everything extremey covetable! It’s worth a look! 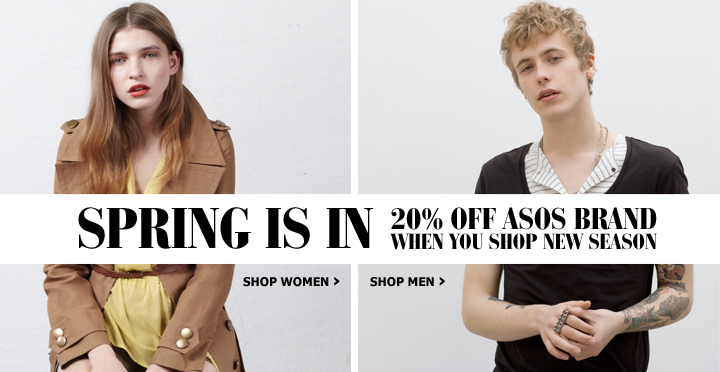 Europe: I got a lovely email from the very fab Sophie Kennedy over at ASOS today to tell that they have just launched Europe’s first fully integrated facebook store! ﻿﻿﻿It’s totally secure and has the same functionality as the online store. So now their 400,000 followers on facebook can shop as they follow! ASOS is one of my favourites and I am in love with their own brand collection. They have some amazing things in for Spring so have a look! 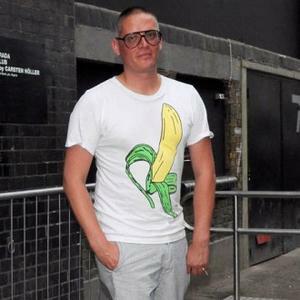 Earth: On the topic of designer collabs’, Giles Deacon is set to come up with a collection for shoe shop, Nine West. 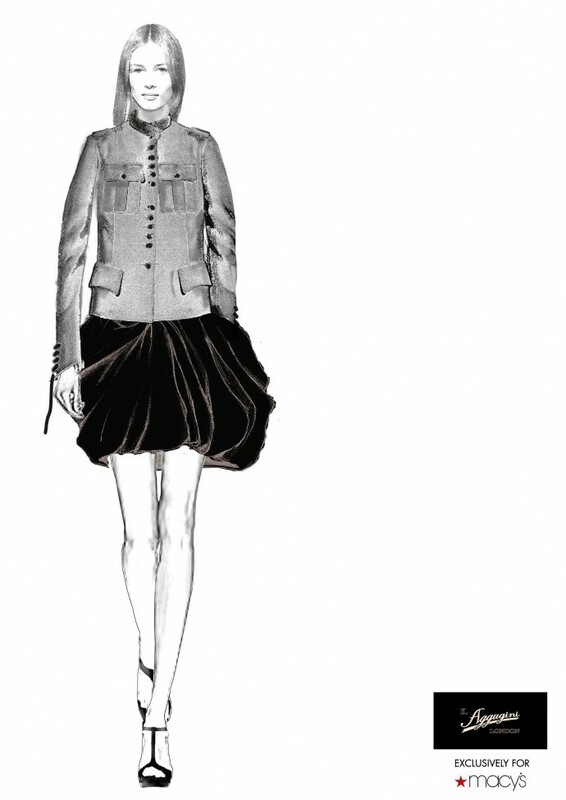 The collection won’t be available until A/W 2011, but here’s hoping it’s fabulous! Oh and I am delighted to tell you that the Curvette of the Year 2011, as judged by Gill Brady of Curves, Brendan Courtney from RTEs Off the Rails and yours truely, is Edel Moran from Co. Mayo! Congratulations to Edel who was an inspirational and fabulous lady, and to all the marvelous contestants who I was honoured to work with! More news coming at the weekend from Miami so stay tuned!!! I was delighted to be asked to be a guest blogger on styleisle this week. I knew immediately that I wanted to write about the Hills Finale. This was probably because I was still in shock by the ending. I won’t tell you what happens in case you haven’t seen it but definitely try to catch it. Adam DiVello definitely had a tongue-in-cheek moment with the ending…or did he?? Anyway…enough jibber jabber and lets gets down to business. Lets be honest for one minute…it isn’t the gripping storylines that have us tuning into this show week after week. We watch so we can see the fabulous fashion and (hopefully someday attainable) lifestyle that the characters live. It is because they lead such perfect lives that we are absolutely allowed to criticise anything they do. Yes..I am trying to make myself feel better by pointing out their flaws…we are all guilty of it. So here we go…from the bottom of the hill to the summit… rate or slate ladies….I would love to hear what ye think???? Terribly Tangoed or Tastefully Tanned????? Under no circumstances could anyone deny how pretty this girl is. She is absolutely stunning….hair, face, bone structure, figure, legs…everything. This is why I think Ms Patridge needs to send her stylist to the unemployment line (assuming she has one). Her make-up and hair are absolutely flawless. However from the neck down, at this finale party, she went out with a catastrophic bang. Some people say it is wrong to over co-ordinate your accessories. However this stylist took that advice to a whole new level. There is no common ground between anything in this outfit. I like the block colour of this dress but the shape is atrocious…I fear that at any second she is liable to fall out of that dress (maybe this was her aim in a last ditch effort to hold onto her 15 minutes of fame now that the show is coming to an end). For me, the time is nigh and she receives the lowest ranking order on the “The Top of the Hills”. Stephanie showed up to the Hills Finale Bash in this Beautiful Hervé Léger dress (as previously seen on Geri Haliwell). She has matched her shoes to her dress which definitely hugs her figure in all the right places and accentuates her long legs. However, Steph’s biggest downfall for me…is in her weak, limp, lifeless hair (as Cheryl Cole would undoubtedly agree with). Get this girl a bottle of L’oreal. J A nice soft bouncy blow dry could have could have put this girl in with a fighting chance for top spot! In comparison to some of the outfits this girl has been seen wearing for her stints on the show, Holly has done well and looks stunning and classic in this feathered cocktail dress. I do wish I could remove the feather detail but it’s definitely not the worst outfit. She has kept it simple by wearing a black shoe and I like this monochrome look. However, this could have been her opportunity to add personality to her otherwise timid character by pairing a bright shoe or clutch to this outfit pop. She may not be the friendliest girl in the world but this girl epitomizes a “Californian Beauty” – Tall, tanned, blonde and impeccably dressed. This dress is chic and stylish highlights her best aspects. Who am I kidding….she doesn’t have a bad one. Her metallic peep toes are perfect for this dress and her softly waved hair frames her face perfectly. A winning outfit by any means however she narrowly misses out on the top spot thanks to not one but two ultra stylish blonde beauties. I have been deliberating over which of these two dashing ladies gets top spot for about a week now. I change my mind more often than the Irish weather. It is impossible to put one above the other in this case. I love both dresses equally, from Whitney’s bright, summery Matthew Williamson’s frock to Lauren Conrad’s understated but yet glamorous, green and gold shimmery dress. Their hair and make-up are both effortlessly perfect without using any bright or bold colours. A simple bronzed shimmer look matches both outfits perfectly only adding to the Summer look carried off so elegantly by each girl. They both know exactly what works for their body shapes and have used this to their advantage. In simple terms…these girls should never have been separated and I am giving two gold medals to the two ladies on the “TOP OF THE HILLS”. Happy bank holiday or in other parts of the world, Happy Monday and I hope work is going well for you today. Styleisle is being broadcast from the comfy chairs in Starbucks Blackrock this morning over a very frothy latte and sticky and sweet muffin. This morning is the style aftermath of the MTV Movie Awards which were on in LA last night and already the onliners are a-buzz with the gossip. I have been checking out what my blog buddies have been saying and there is consensus which is always a good sign when you are trying to make it in the world of fashion. Not that there was anything unexpected really. Except that Kristen actually smiled on the red carpet and appeared to be in a good mood after her little media faux pas during the week. Didn’t stop me from buying Elle with her on the cover of it. Even the most minor scandal sells. Whitney Port looking summery and happy in lellow. I like this. It’s her and it’s cute. She doesn’t try to be, or dress like someone she’s not, and that’s the most appealing attribute methinks. Lovely Scarlett in emerald green. This is a sophisticated look from her which is a departure from the sultry which she rocks quite often. This dress reminds me of a Pearl Lowe creation. Aside from the usual moody facade, I like the dress. She looks great in fairness. And the smile is working. Keep it up Kris. Your boyf is hot, you have a lot to be happy about. Bizarre. But very her. Think I’ll try this out at the IFTAs next year, what do ya think? Tavi will have royal blue hair next. Katie I hope you realise you have now set a trend. The lovely Anna Kendrink. As always, she is now firmly on the style map after the Pucci number at the BAFTAs and the beautiful dusky pink Elie Saab dress at the Oscars. Don’t ever fire this stylist. Lady Gaga…oh no sorry it’s Christina Aguilera.